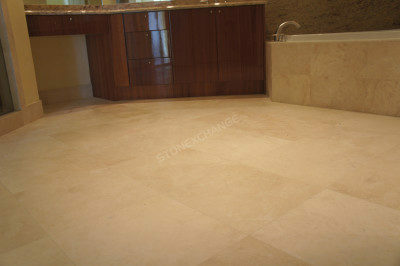 When you’re ready to order marble tiles, choose the right wholesaler for your project. In addition to excellent quality and pricing, you also want to work with a company that will fill your order quickly and see it delivered in a timely manner. The team at Nalboor Tiles is looking forward to serving you, and we’ll do everything we can to ensure a fast deliver for you. We own the quarries, maintain stable inventory levels in our warehouses, and pay close attention to detail to minimize mistakes so that you can reap the benefits. The typical supply chain requires going through several layers of wholesalers, and an orders can be delayed at any point in that chain. Other wholesalers have to place their orders with another company and hope that it arrives on time. As you add layers to the process, the likelihood of delays increases. We own our quarries and manufacturing centers. This means that you only have one supplier to work with, and the result is timely, consistent service. When an order comes in through our office or website, we’re able to fill it directly from the warehouse. As our inventory levels fall, we can get replacements quickly from our manufacturing centers so that our customers won’t have to deal with any delays. Some people search for better rates by going to suppliers overseas. The problem is that any order coming in from China or other regions can take two months or longer to arrive. While our manufacturing centers are overseas, we do have a warehouse in Southern Florida. We maintain stable inventory levels at this domestic site so that we can get your orders to the worksite faster. Rather than coming from Italy or other countries, your order will be filled and shipped from Miami. You can expect to receive the merchandise in a matter of weeks so that you can keep your projects running smoothly. Our professionals are highly trained, and they know what kinds of issues to watch out for. They can guide you through the ordering process, answer any questions you have, and ensure that the order is completely accurate. As a result, our warehouse team can immediately get to work filling the crates and preparing your order. In the warehouse, our crews know how important it is to pay close attention to detail. We take great care to ensure that the orders are filled properly and in a timely manner. Crates are packaged with care to minimize the risk of breakage. The orders are double checked before being finalized and prepared for the shipping company. We’ve developed relationships with several different shipping companies so that we can get your order to you in a timely manner. Whether you’re ordering a case of Crema Bella tiles or want some wood-look porcelain, we can get your products to your worksite, retail store, or warehouse. By working with companies who know us well, we’re able to negotiate special discounts for bulk shipments. This helps us keep our costs down, and we’re happy to pass the savings on to you. In addition, you’ll be working with reputable shipping companies who are able to provide domestic services from the Atlantic to the Pacific. We believe in making things easy for our customers, so we let you dictate where the items will be delivered. Retailers generally want everything to go straight to the store, although we can also send an order to your warehouse. If you’re a contractor working on a large job, then you may want the job materials delivered to the work site. That will allow you to avoid the labor and transportation costs associated with getting raw materials from your warehouse to the job location. If our natural stones are part of your regular stock, then just notify us when you start running low on a particular selection. We maintain stable orders of Breccia Oniciata Marble and other selections, and we can get a new order started immediately so that you won’t have to issue any rain checks. A great benefit of working with Nalboor Tiles is that we have online ordering options. Unlike other wholesalers who can only start the process during certain hours, we allow you to shop when it’s convenient for you. When you visit our website and start an order, you’ll be able to choose from a range of sizes. Simply pick your dimensions and quantity before adding the tiles to your cart. We have our discount level posted right on the site, so you’ll know exactly who many should be ordered if you want to enjoy lower prices. We also handle custom orders, although they do take a little more time. With custom orders, we may need to go directly to our manufacturing center to adjust the sizes or other features. We ask that you allow a few extra weeks for this process, and we do have a minimum order requirement in place. If you use marble and natural stone tiles in a range of renovation projects, then you need to find a reliable wholesaler who will provide you with quality merchandise at excellent rates. We make it easy for you to order the tiles you want through Nalboor Tiles’ online form, or you can call us direct at 305-501-4548. We’re looking forward to assisting you, and we’ll make the entire ordering and shipping process as easy as possible.